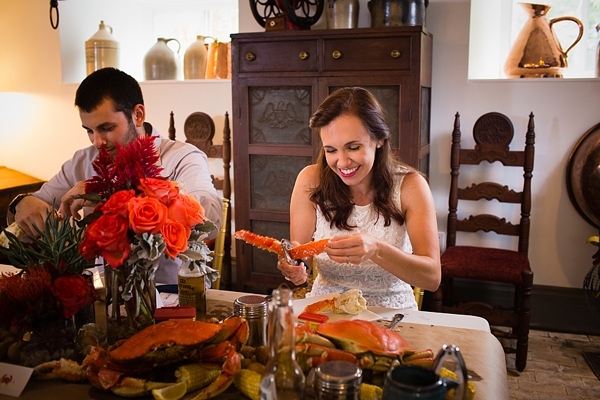 Maryland transplants to Hampton Roads, Rachel and Mark of Tiltawhirl Imagery were feeling a bit nostalgic for the summer crab feasts they remembered from home. 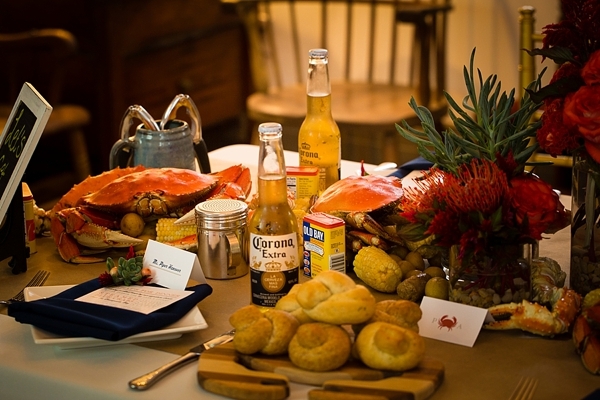 Both being hugely nautical areas, it's almost to be expected! 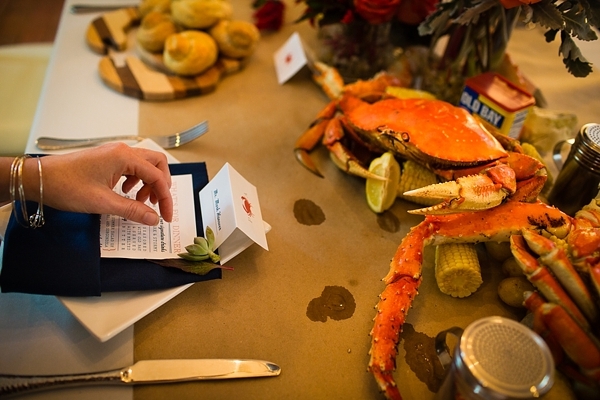 But when it came down to local crab offerings for the shoot and for couples wanting to do the same, the ever environmentally-conscious Rachel was candid: "The past winter wiped out 28 percent of the Chesapeake Bay's male blue crab population, so we felt a more sustainable dinner option would be the Dungeness crab, found on the west coast. 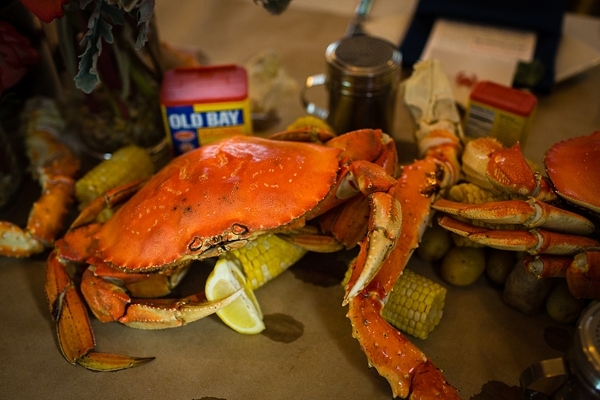 Pike Place Fish Market (yep, that one) in Seattle, Washington, saved the day by having access to this certified sustainable crab option." 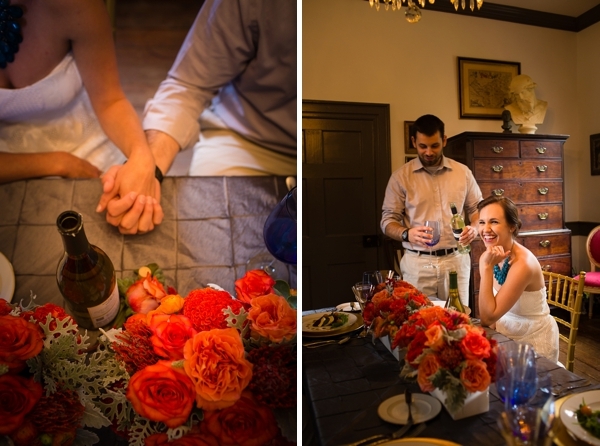 Thanks to the creativity of Wedding Co. of Williamsburg, a formal table setting was paired with the informal feast setting to provide the perfect blend of regality and relaxed enjoyment. 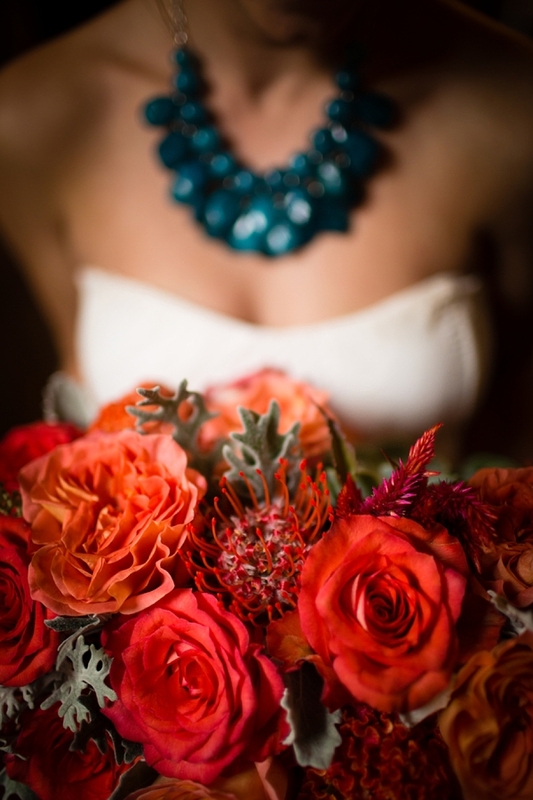 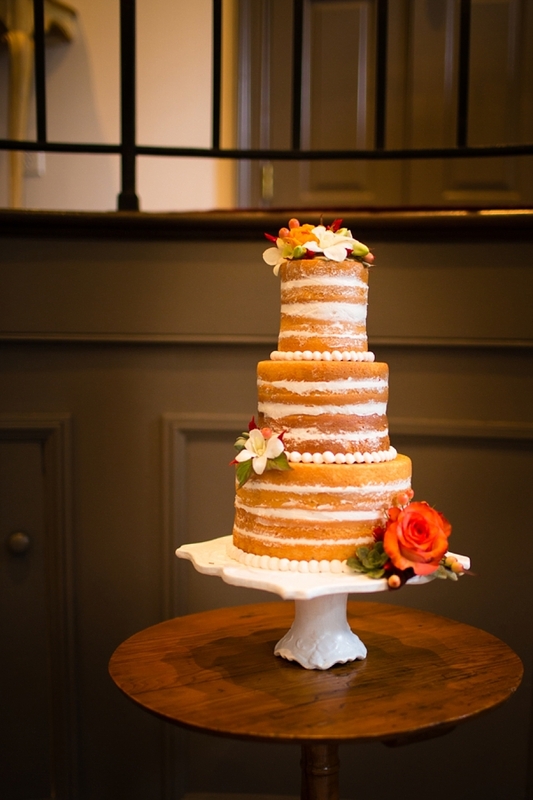 Cary Hill Plantation 1741 provided the perfect backdrop for what started as a simple inspired story that came to life with the eclectic flower arrangements by Aleen Floral Design, the equally artistic cake confection by Cindy's Cakery, the lovely makeup by Dhalia Edwards, the quintessential crab-y stationery designed by The Girl Tyler, and rentals from Two Rivers Country Club and Williamsburg Event Rentals. 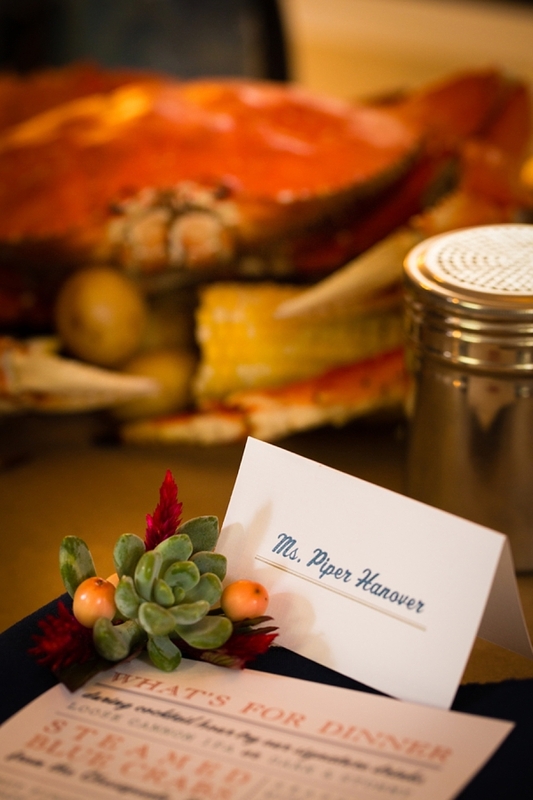 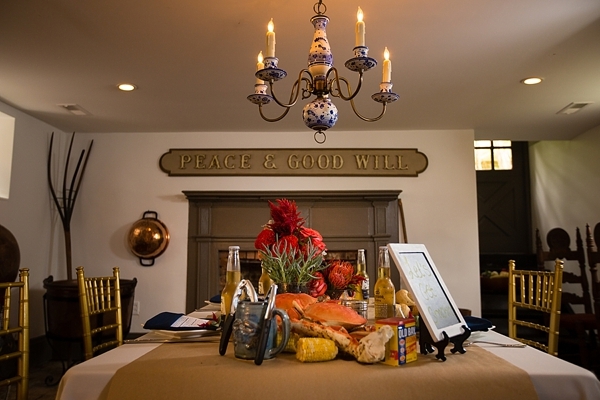 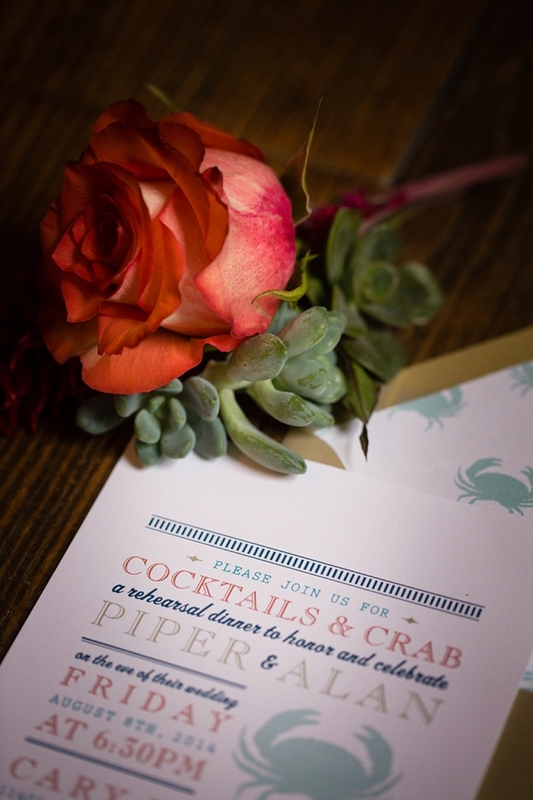 With the paper-lined table and cold longnecks gathering condensation, you can almost smell the seafood and Old Bay from this inspiration rehearsal dinner crab feast just in time for Labor Day!